Riyadh: After nearly two years in prison, Saudi Arabia on Tuesday freed a young Saudi writer whose tweets on the Prophet Mohammad (PBUH) sparked a conservative furore and an international manhunt. Hamza Kashgari, 23 when he was jailed in February 2011, walked out of prison around dawn on Tuesday, a close friend of the family said. Kashgari’s lawyer, Abdul Rahman Allahim, confirmed the release in another tweet. A writer and newspaper columnist in the Saudi city of Jeddah, Kashgari in February 2011 tweeted a series of comments reflecting meditatively on the human side of the Prophet, and imagining a meeting between himself and the Prophet. Religious conservatives in the kingdom called the tweets blasphemous. Clerics — one of whom posted a video on YouTube of himself weeping at the perceived insult to the Prophet — called for Kashgari’s death. 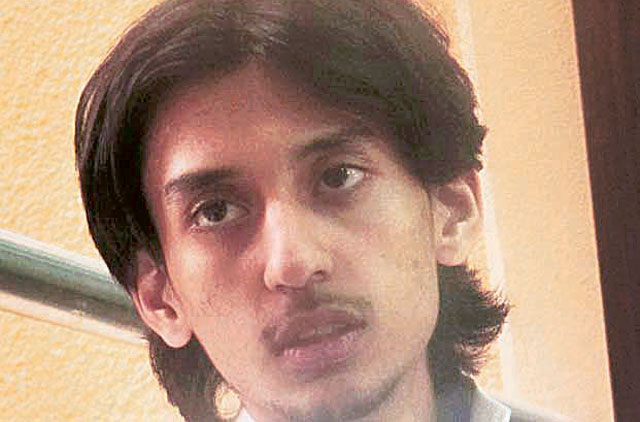 After fleeing Saudi Arabia to escape death threats, Kashgari was arrested in Malaysia. Saudi authorities jailed him for nearly two years without trial. There was no immediate government comment on his release on Tuesday. The episode signalled both the vast divide between conservative and liberal factions in Saudi Arabia, and the growing importance of Twitter and other social media in Saudi Arabia to marshal support for causes on both sides of the political spectrum.